In Society of Composers, Authors and Music Publishers of Canada v. Bell Canada, the Supreme Court of Canada (Justice Abella writing for the Court) decided whether or not 30-90 second previews of musical works that consumers can listen to before purchasing the work online constitute a fair dealing for the purpose of consumer research. 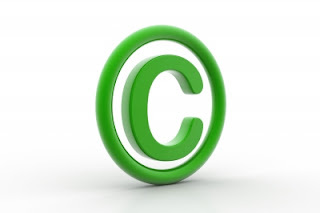 Fair dealing is a doctrine of copyright law that protects certain uses of copyright protected works that, but for the fair dealing doctrine, would constitute copyright infringement. Fair dealing is considered to be a limitation on the scope of the copyright in favour of the public interest. Like ESA v. SOCAN (discussed here) and Rogers v. SOCAN (discussed here), SOCAN v. Bell is an appeal originating from a Copyright Board decision regarding the application of SOCAN’s Tariff 22- a tariff meant to capture the communication to the public by telecommunication of copyright protected musical works. The Board decided that while the downloading (overturned in ESA v. SOCAN) or streaming (affirmed in Rogers v. SOCAN) of complete musical works over the internet should be subject to Tariff 22, the previewing of short excerpts of songs should not be covered and constitutes a fair dealing for the purpose of consumer research. The Federal Court of Appeal affirmed the Board’s decision which was later affirmed by the Supreme Court. The Fair dealing analysis as outlined in CCH Canadian Ltd. v. Law Society of Upper Canada consists of two parts: First, the dealing must fit into one of the allowable purposes: research, private study, criticism, review or news reporting. Second, providing the dealing does fit into one of the aforementioned categories, a “fairness analysis” is conducted. Six factors are considered: The purpose of the dealing; the character of the dealing; the amount of the dealing; the existence of alternatives to the dealing; and the effect of the dealing on the work. Each step will be analyzed in turn. SOCAN contends that the Copyright Board and Federal Court of Appeal misconstrued the scope of “research” under fair dealing. They identified what they thought were two errors: First, the Board gave too broad a definition to the term research; and second, that the purpose of the dealing should have been analysed not from the perspective of the consumer, but from that of the online service provider (OSP). The Court disagreed with SOCAN’s first contention by exposing the latter’s definition of the word research as too narrow. CCH tells us that the fair dealing categories must be given a “large and liberal interpretation”. This is due in large part to the fact that the five categories (research, private study, criticism, review and news reporting) are exhaustive. As such, in order to maintain the balance between the strength of the copyright owner’s monopoly and the public interest of having artistic works widely disseminated, the existing categories-few as they may be- must be given a broad interpretation if they are to have a significant effect on the copyright landscape of Canada. SOCAN offered a dictionary definition of the word research which the Court viewed as far too restrictive in light of the large and liberal principle set down in CCH. SOCAN’s second argument with regards to the Boards application of the research category fared no better. The Supreme Court agreed with the Copyright Board and Federal Court of Appeal when they determined that the proper perspective for assessing whether the activity falls under fair dealing is that of the consumer. While the OSP benefits from the effect of the previews being made available (in that it increases the likelihood of a sale), all they are doing is facilitating the research of the consumer. Under this factor, the Court must assess the true motive or purpose for the dealing. SOCAN argued that the purpose of the dealing was purely commercial. The Court disagreed. Again, SOCAN was looking at the dealing from the perspective of the OSP and not the consumer. The Court writes that when properly viewed from the perspective of the consumer, the raison d’être of the preview is to facilitate identification of the musical work for the sake of purchase. This is consistent with fair dealing for the purpose of research. Under this category, the Court is called upon to analyse the number of times the copy is reproduced. In general, it would be considered less fair if several reproductions of the copyright protected work are made. By contrast, if only a single reproduction of the work is made, the dealing would be deemed more fair. SOCAN argued that on average, consumers accessed ten times as many previews as paid downloads. Based on this, they argued that this factor should militate in favour of a ruling of “unfairness”. The Court was not persuaded by this line of reasoning. Justice Abella pointed out that regardless of the number of times the short previews were accessed, no durable copy of the work was stored on the consumers computer. Because the preview is automatically deleted from the consumer’s computer the instant it is done playing, the bare number of previews listened to is not the appropriate measure of the character of the dealing. This factor examines the proportion of the entire work that is being used. Here SOCAN argued that the applicable perspective is the aggregate number of previews streamed as opposed to the proportion of the individual preview to the entire song. This is simply inconsistent with the Court’s explanation of this factor in the CCH decision. Justice Abella writes that CCH is clear “that “amount” means “quantity of the work taken””. Under this factor, the Court must determine whether there are non-infringing alternatives to the dealing in question. If there is a way that the user can effectively achieve the same result without using the copyright protected work, the dealing will be deemed less fair. SOCAN submitted a number of ways in which, in their view, the OSP’s could effectively achieve their goal- allowing consumers to browse and identify works for purchase- without actually offering audio samples. SOCAN suggested the display of album art, user reviews and “textual descriptions”. The Court was unconvinced that any of these measures were nearly as effective as offering previews. Since these works are auditory in nature, there really is no substitute for hearing a part of it. People simply don’t choose the music they like by reading user reviews or “textual descriptions”. The nature of the dealing refers to whether or not the work was meant to be widely disseminated. For example, if a work is unpublished and there is no reason to believe that the rights holder intends on publishing it, use of the work may be deemed less fair. If, on the other hand, the goal of the work is to be widely disseminated, the dealing is more prone to a finding of fairness. SOCAN’s argument here seems off point and is fairly unconvincing. In fact, it more closely resembles an argument that may be made under the next and final factor. Here the Court must assess the effect, negative of positive, that the dealing has on the exploitation of the original work. If the dealing has a negative effect on sales or dissemination of the original work, the dealing may be deemed less fair. In this case, it was clear that the only effect the use of previews has on the musical works was to facilitate the identification and eventual sale of those works. Not only is this not a negative for the rights holder, it is substantially positive. SOCAN’s earlier ill-conceived argument under the nature of the dealing was that despite the fact that the works are already widely available, the availability of previews does not improve the dissemination of the work. Again, this argument is unconvincing and was largely brushed off by the Court. The Court reached a rather uncontroversial unanimous decision in favour of Bell et al. It is settled law in Canada that the fair dealing factors must receive a large and liberal interpretation. SOCAN’s arguments were mostly predicated on unduly restricting that interpretation. Their arguments with reference to the fairness factors were unpersuasive and at times even disingenuous. It is clear that the appropriate view point for a fair dealing analysis is that of the person actually conducting the dealing. While it may at times be a valid consideration that another party is facilitating the dealing, it should not override the logical perspective from which the dealing should be analyzed. If nothing else, this case is a restatement of CCH and a reaffirmation of the principle that the fair dealing categories must be given a large and liberal interpretation.